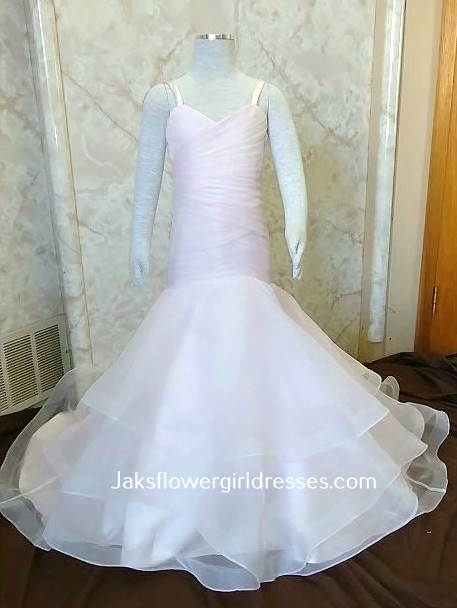 Blush mermaid flower girl dress. 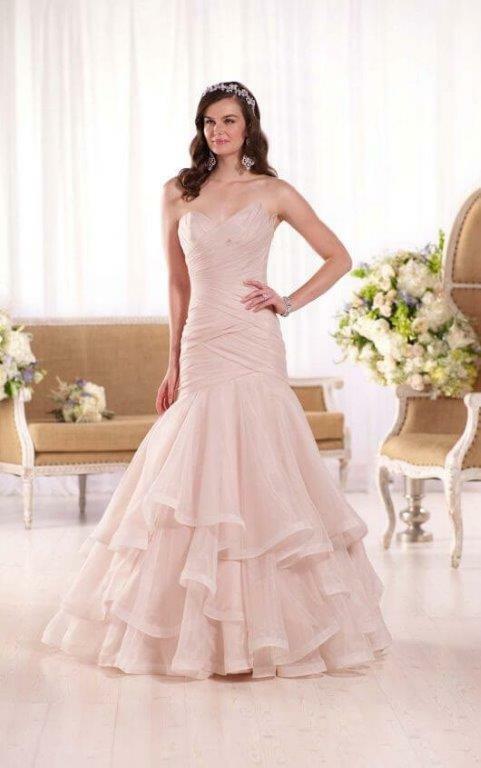 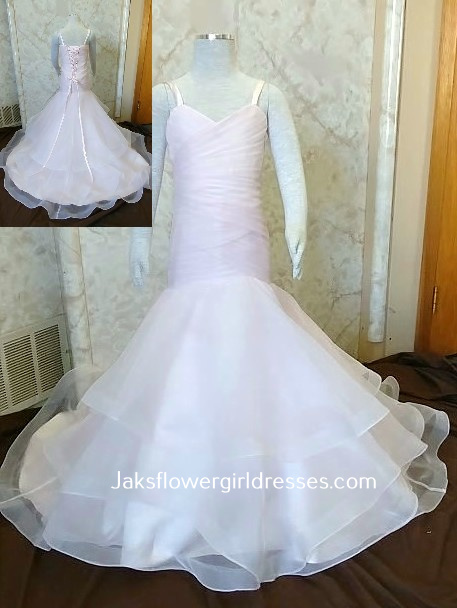 Blush mermaid flower girl dress with ruffle layers of flowing organza on its skirt and train. 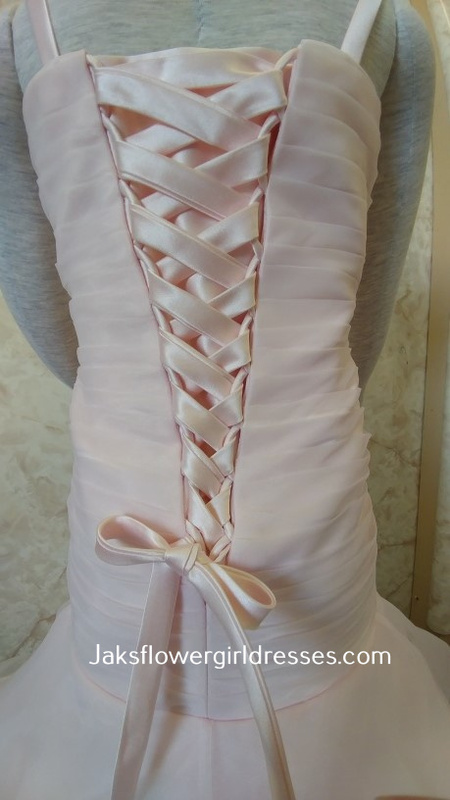 Match your wedding dress. 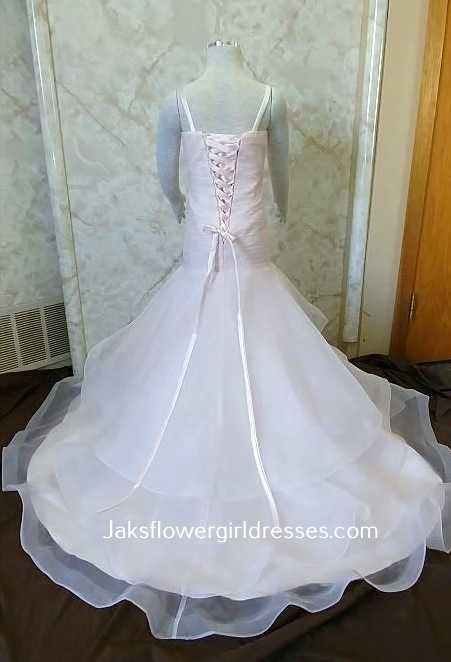 Jaks has created 500 flower girl dress styles for brides just like you.